Bouquet of flowers in warm and autumn colors, yellow, orange and red but pleasing in all seasons. Give this bouquet for a birthday, an anniversary, or if you just want to give a smile. 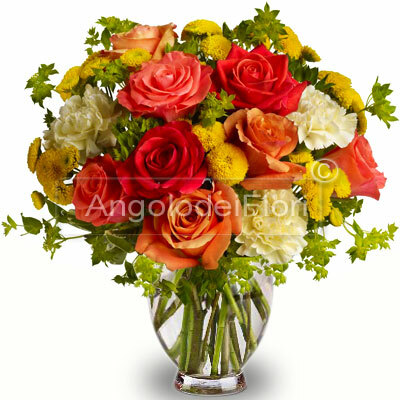 This bouquet includes roses and other mixed flowers in the shades of red, orange, yellow and white. For an Autumn total look.